Modification to fuel requirements previously issued in January. Panama Canal Authority (ACP) has issued a modification to its fuel requirements for vessels navigating in Canal waters. Previously, according to OP Notice to Shipping N-1-2017, subsection (a) of section 29, published in January, vessels were required to complete the changeover from heavy fuel oil (HFO) to distillate fuel prior to arriving in Panama Canal waters. This was designed to "resolve operational issues, as well as avoid any negative impact on the health of Panama Canal Authority (ACP) personnel, caused by the use of HFO while in Canal waters". In a new advisory issed on 19th April, ACP has implemented changes to these requirements "after evaluating the possible impact a modification to this requirement may have on our operations, to include health issues for ACP personnel". Now, vessels that intend to transit the Canal and need to anchor at the Pacific or Atlantic anchorages, or plan to call at the Pacific or Atlantic port terminals, will be permitted to use HFO to operate their auxiliary engines, boilers and other ancillary equipment whilst at anchorage or when berthed. However, they will be required to perform a changeover from HFO to distillate fuel to operate their propulsion engines prior to entering Canal waters. Ships burning HFO in their auxiliary engines, boilers and other ancillary equipment will be required to change over to distillates at least two hours prior to the scheduled pilot time for their Canal transit. They will only be deemed ready for Canal transit when the changeover has been completed and the ship is operating only on distillate fuel. Meanwhile, vessels that arrive in Canal waters with the sole intention to visit either the Pacific or Atlantic port terminal and not to transit the Canal, will be allowed to navigate to and from the port terminal on HFO, including the main propulsion engines. They will not be subject to the fuel changeover requirement. 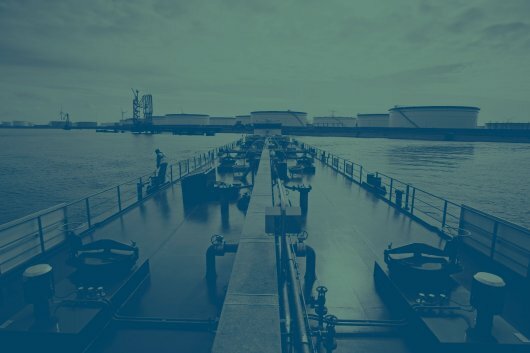 All vessels that arrive in Canal waters with the intention of transiting the Canal are required to record the fuel changeover in their engine room logbook and/or fuel oil changeover logbook. The logbook entries will need to specify the date and time of commencement and ending of the changeover from HFO to distillate fuel, as well as the sulphur content of fuels.